Individual-X & Moving Range Charts are a set of control charts for variables data (data that is both quantitative and continuous in measurement, such as a measured dimension or time). 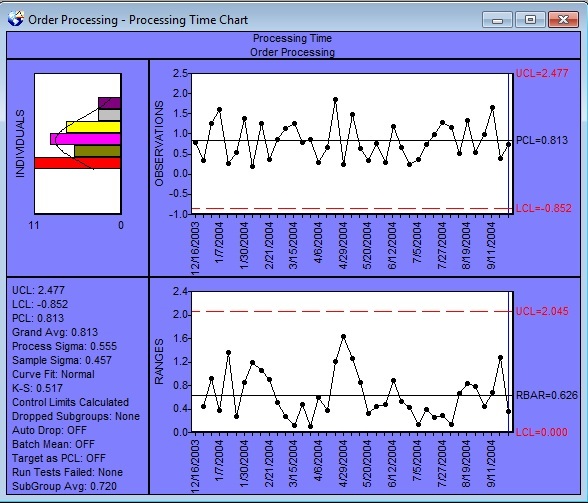 The Individual-X chart monitors the process location over time, based on the current subgroup, containing a single observation. The Moving Range chart monitors the variation between consecutive subgroups over time.